1. Standing out from the Competition… only 15% of your competition are using video to communicate with their current prospects and their existing databases. 2. The Fear Factor… the other 85% are a bit intimidated about standing in front of a camera to communicate. I have a great solution for you… click on the following video and watch expert Dr. Mark McMahon, Creator of “Hollywood from Home” as he shares his Top 10 Tips to Shine on Video. He’s a bit quirky (definitely entertaining) and best of all his messages and techniques are bang on. Mark’s message is 12 minutes long and I went through the whole thing myself 3 times. Definitely worth the time invested. Don’t pass this one up. 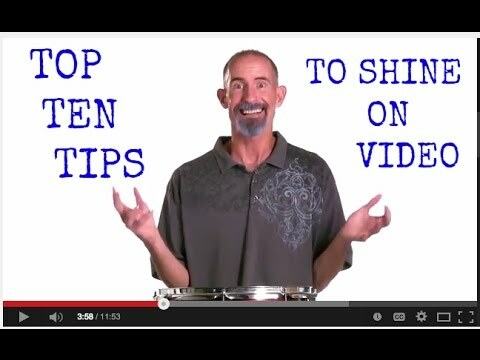 It’s a good place to get started and if you’re already doing videos then this will improve your presentations even more so. NO Excuses.